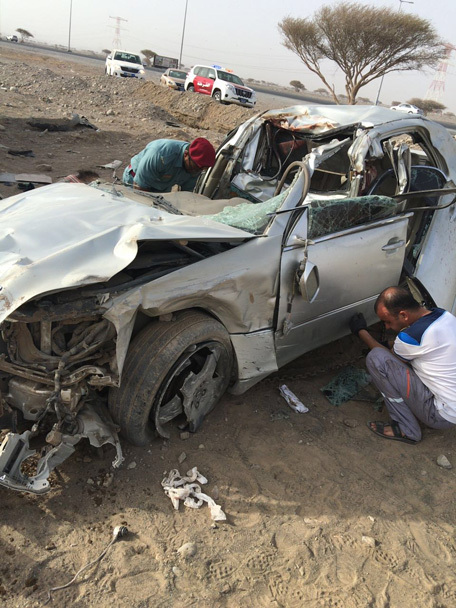 An Emirati identfied as O.AO, aged 28 and a Comoros national H.M.A, aged 32, were killed after their vehicle crashed into four camels that were crossing a highway in Ras Al Khaimah. A third person also from the Comoros, H.M.O, in his 20s, was seriously injured in the incident. 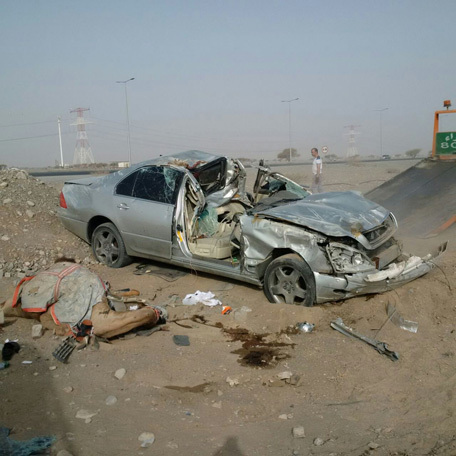 Brigadier Dr. Mohammed Said Al Hamidi, Director General of Operations, Ras Al Khaimah Police, said the incident happened early on Saturday morning. 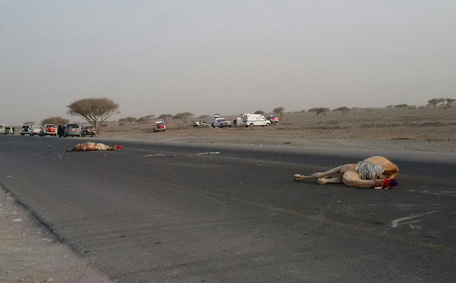 Preliminary investigations and eyewitnesses accounts claim that the Asian herder of the camels had attempted to stop vehicles to allow the camels to cross the road, but the vehicle in question was speeding and the driver was not paying attention. Brig. Al Hamidi appealed to all motorists to comply with traffic rules and speed limits.